TALLAHASSEE, Fla. (Legal Newsline) - The Florida Bar’s Board of Governors, seemingly at the behest of plaintiffs’ attorneys, may end up pushing the state Supreme Court to review and reject a relatively new standard governing expert witness testimony. In June 2013, Florida Gov. Rick Scott signed into law a bill amending the state’s evidence code, replacing the Frye standard with the Daubert standard. Under the state’s version of the old 1923 Frye decision, a judge did not, with few exceptions, have to evaluate the reliability of an expert’s testimony. Under Florida’s new standard -- which took effect July 1, 2013 -- an expert must be qualified, the testimony must fit the facts of the case and the methodology used must be testable and reproducible. Federal courts and more than half of the nation have adopted the Daubert standard. Over the past two years, the Florida Bar’s Code and Rules of Evidence Committee, or CREC, has sought input from the public on whether it should reject the new standard. Comments came in three waves -- the CREC received the first set during summer and fall 2013 after an unadvertised, informal request was made; the second set was received in fall 2014 after a slightly more formal request via a posting on the committee's working webpage; and the third came after an official, 30-day publication for comments on July 15. The committee also considered two position papers, one in support of the standard and one against. In addition, during the CREC’s two-year consideration of what to recommend, it took several votes. In a Sept. 27, 2013 straw poll, 28 CREC members voted in favor of the standard, while six voted against. A second straw poll of its membership later that year -- via email -- resulted in 21 in favor of Daubert and six voting against it. On Oct. 17, 2014 -- following years of deliberation, consideration of dozens of public comments and analysis of the position papers -- the committee held a final debate and vote. By a vote of 16-14, the CREC rejected the Daubert standard. The Bar’s BOG now plans to review the committee’s recommendation. The issue has been placed on the BOG’s supplemental agenda for Oct. 16. Many Florida plaintiffs’ attorneys -- a number of whom make up the current CREC -- argued in the CREC-sought public comments that the new standard presents a number of problems. “The committee’s action is in the best interest of litigants on both sides as well as our court system, in voting against a rule that increases time and expenses to the parties, and is in violation of Article V of the Florida Constitution,” wrote A. Crosby Crane, an attorney at Morgan & Morgan PA in Tampa. More than 20 comments in support of the Frye standard came from attorneys at Morgan & Morgan, one of the largest consumer protection and personal injury firms in the region. “It does, without question, impose time-consuming and expensive hurdles to litigants,” he wrote. “The new Daubert statute, a review of which leads one to believe that it at least in part violates Article 5 of the Florida Constitution, did not provide any substantive advantage to protect or safeguard the rights of litigants on either side,” he wrote in his comments. Dennis Brannon of Fort Walton Beach law firm Brannon & Brannon -- and who noted in his written comments that he is a member of the Florida Justice Association, a group of trial lawyers -- argued that juries should be given the benefit of the doubt and allowed to “sift and measure” the evidence presented. Brannon contends that under Daubert, evidence now will be “screened unnecessarily” by trial and appellate courts, increasing the cost of litigation, causing additional uncertainty and divergent results on appeal. Nancy La Vista, a partner at Clark Fountain La Vista Prather Keen & Littky-Rubin in West Palm Beach, wrote in her comments there was “no need” for a change to Daubert. La Vista, a self-described critical care nurse attorney practicing in both state and federal courts, said the history and case law developed for Frye is “extensive” and “more than adequately” ensures scientific reliability. Crane, Needle, Alley, Brannon and La Vista could not be reached for additional comment. Meanwhile, defense attorneys in the state countered that Daubert ensures the reliability of expert evidence and protects the rights of both plaintiffs and defendants. “It is hard to imagine that adoption of a method that the United States Supreme Court has specifically adopted and uses will offend the Florida Supreme Court,” Smith wrote. Former Florida Attorney General Bill McCollum, now a partner at Dentons’ Public Policy and Regulation practice, even weighed in on the issue. “In adopting the Daubert standard, the Florida Legislature expressed a well-founded concern that Frye, which offered no assurance of reliability in most cases, had admitted unreliable expert evidence into the courts of this State,” he wrote. “The Legislature acted appropriately to remedy this defect and created an all-important legal right to an adjudication founded on reliable expert evidence. Mark Antonelli, partner at South Florida law firm Gaebe Mullen Antonelli Esco & DiMatteo and a past president of the Florida Defense Lawyers Association, argued in his comments that adoption of the Daubert standard “harmonizes” Florida’s jurisprudence with both the Federal Rules of Evidence and the laws of most other states. 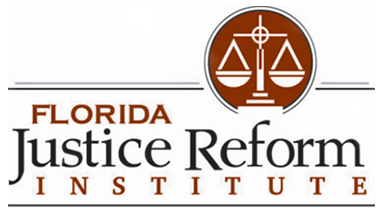 “Consistency with federal courts and the courts of neighboring states ensures that Florida will not be a safe haven and the forum of choice for litigation bottomed on unreliable science,” he wrote. Smith, McCollum and Antonelli also could not be reached for additional comment. William Large, president of the Florida Justice Reform Institute -- created in 2005 to fight wasteful civil litigation -- argues that the Daubert standard doesn’t favor or disfavor either side in civil or criminal cases. “Daubert just allows for a judge to act as the gatekeeper, to ensure that expert evidence is trustworthy,” Large explained. “Expert evidence can be powerful. But it can also be misleading because of differences in evaluating expert testimony. Federal judges under the Daubert standard have been given the important responsibility of ensuring expert testimony is based on reliable methodology and fits the facts of the case.